Karl Lagerfeld: Five things you should know Jump to media player Here are five things you might not know about the iconic fashion designer. 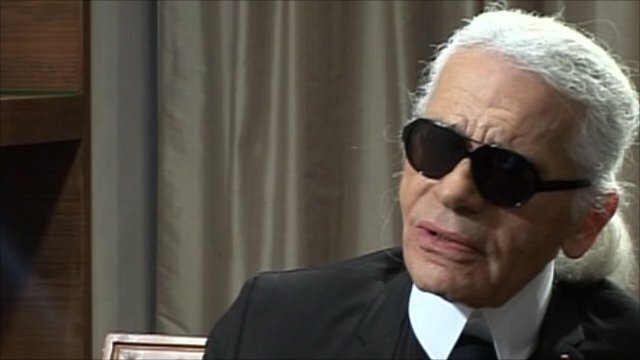 Fashion designer Lagerfeld dies aged 85 Jump to media player Karl Lagerfeld, who was the creative director for Chanel and Fendi, has died aged 85. Lagerfeld: 'I'm Joan of Arc of design' Jump to media player Karl Lagerfeld has been at the helm of the French fashion house Chanel for over three decades and his schedule remains relentless despite being in his 80s. Lagerfeld reacts to Kardashian robbery Jump to media player Fashion designer Karl Lagerfeld has questioned the lack of security around Kim Kardashian West in Paris. Chanel's black jacket still in the picture Jump to media player Designer Karl Lagerfeld's pictures of celebrities with their own variations of the classic Chanel jacket are on show in Paris - and other art stories. He was the creative director of Chanel for 36 years, whilst simultaneously designing collections for multiple other fashion brands. Here's five things you might not know about the designer.